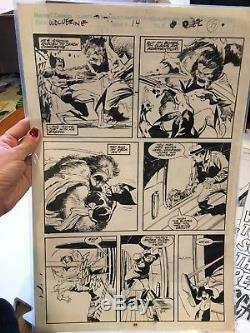 Bill Sienkiewicz / John Buscema original comic book art-Wolverine issue 14 pg 17. The item "Bill Sienkiewicz / John Buscema original comic book art-Wolverine issue 14 pg 17" is in sale since Monday, January 01, 2018. This item is in the category "Collectibles\Comics\Original Comic Art\Interior Pages". The seller is "chichijojo14" and is located in New York, New York.